We're expecting to see record levels of remodeling in 2015, and this is because we're seeing a lot of move up buyers taking advantage of low interest rates. These move-up buyers have been investing in their homes over the years, so much so that the average spent on remodeling per year is at $1,900 dollars. Remodeling and staging go hand-in-hand, and we feel very strongly that these are two very important avenues in which you can get more money for your home. To see some examples of the work we've done and the results we've seen, please go to www.stagingresults.com. In a recent study, 53% of real estate agents said that their buyer clients would pay up to 20% more for a newly remodeled and properly staged home. 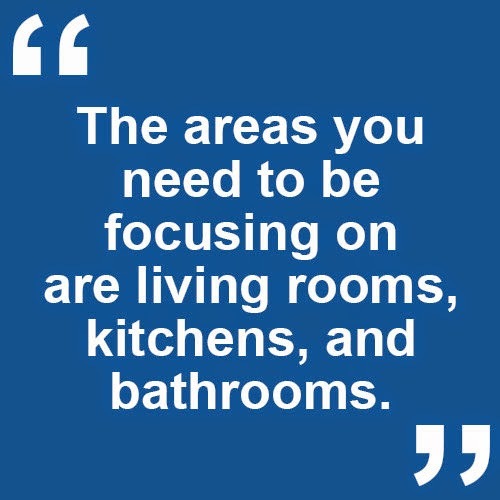 The areas you need to be focusing on are living rooms, kitchens, and bathrooms. Buyers absolutely love to see remodeled kitchens and bathrooms, so investing money in those places is a wise choice because you'll probably see a large return. These things can usually be accomplished for $3,000 or less depending on the size of your kitchen, and you could usually expect to see an extra $7,000 in exchange. That's a 230% ROI. The same goes for new paint. It can really change the feel of your home, and for $20 per can you could add up to $2,000 to the value of your home. We prefer using light and bright colors because they make the home feel more roomy and they tend to make potential buyers more comfortable inside. If you're selling your property in Southeast Michigan and aren't quite sure how to spruce it up for extra cash at closing, then please do not hesitate to contact us. We have the resources and the know-how to get your home sold for more money and in less time. Thanks for watching, and as always, please refer to us with any questions you may have about the real estate market in Southeast Michigan.